Big Apple’s exceptional donut qualities come from a unique premix formula with a blend of over 20 ingredients. Big Apple Donuts & Coffee is for everyone across all cultures. Muslims have been enjoying its donuts and coffee for years as it is certified HALAL by JAKIM, the foremost authority in Islamic development in Malaysia. Big Apple originated from Malaysia and NOT the United States, as what many people believed. The reason for the American connotation could likely be due to its unique brand. The first Big Apple store opened in May 2007 at The Curve, Malaysia. In just under 2 years, Big Apple had already opened a record of 30 stores across the country, at an average growth of more than 1 store a month. Within the same period, Big Apple’s staff grew from just 8 to a staggering 500 employees. 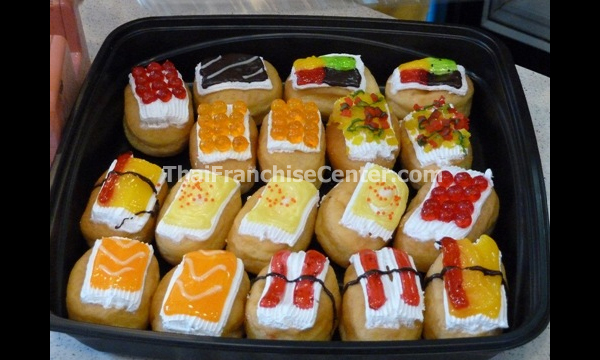 Today, it has 61 outlets in Malaysia and 3 Big Apple Donuts outlet in Thailand. Big Apple has 28 donut flavours and 20 types of beverage. New flavours are being added on constant basis from time to time. On average, each Big Apple’s store churns out 250,000 donuts a month. One of its unique proposition is that vegetarians can also enjoy Big Apple donuts just like everybody else.